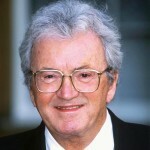 English composer, lyricist, and playwright Leslie Bricusse (b. London, England, 29 January 1931), with more than 40 musical shows and films to his credit, is one of the most popular and prolific songwriters of the past five decades. Best known for his partnership with Anthony Newley, with whom he has created six musicals (including Stop the World – I Want To Get Off and The Roar of the Greasepaint – the Smell of the Crowd), he has worked with many other composers as well, John Barry, Henry Mancini, John Williams, and Frank Wildhorn among them. He has won two Oscars® (out of ten nominations), a Grammy® (out of nine nominations), and eight Ivor Novello Awards (the leading British Music Award), including a Lifetime Achievement Award in 1989. Bricusse got his secondary education at University College School in London, then went on to Gonville and Caius College, Cambridge. While at Cambridge in the early 1950s, Bricusse founded the Musical Comedy Club and was President of the Footlights Revue, co-authoring, directing, and performing in his first two musical shows (Out of the Blue, Lady at the Wheel). Both of these traveled to London’s West End, where Beatrice Lillie caught Bricusse’s performance and chose him as her leading man in An Evening with Beatrice Lillie (1954) at the Globe Theatre. During this first year of his professional life, he wrote another musical, Boy on the Corner, and also the screenplay and score of his first motion picture, Charley Moon. One song from the film, “Out of Town,” became a U.K. Top 20 hit and won him his first Ivor Novello Award, which encouraged him to abandon acting and directing, and focus entirely upon song- and playwriting. Fresh from his second Novello prize for “My Kind of Girl,” in the summer of 1961 Bricusse and his songwriting partner Anthony Newley premiered their new musical Stop the World – I Want to Get Off in London. With the instant hit “What Kind of Fool Am I?,” the show was a sensation, traveled to Broadway in October 1962 and ran for 555 performances. It was nominated for three Tony Awards (Best Musical, Best Composer and Lyricist, Best Author), and “What Kind of Fool Am I” was named the Grammy Awards’ Song of the Year, 1963. 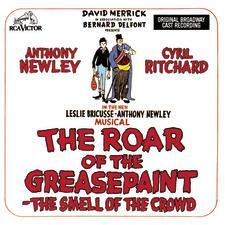 The Bricusse/Newley team had another solid success in 1965 with The Roar of the Greasepaint – The Smell of the Crowd, which at 231 Broadway performances did not meet expectations but yielded three popular hit songs, “Who Can I Turn to?,” “A Wonderful Day Like Today,” and “Feeling Good.” The writers earned a Tony® nomination for Best Composer and Lyricist. Probably the most fecund and rewarding period in Leslie Bricusse’s career were the six or seven years beginning with his score to the film of Doctor Dolittle, starring Anthony Newley and Rex Harrison, in 1967. Although the film itself was considered a failure, his song “Talk to the Animals” won that year’s Oscar® for Best Song, and the entire score was nominated. The three film scores that followed – for Goodbye, Mr. Chips in 1969, Scrooge in 1970, and Willy Wonka and the Chocolate Factory in 1971 – were all nominated for Academy Awards®. “The Candy Man,” from Willy Wonka, was recorded by Sammy Davis, Jr., and climbed to the very top of the pop charts. Doctor Dolittle, Scrooge, and Willy Wonka exist now as stage musicals as well, and are performed all over the world – especially Scrooge at Christmastime. Another bid for success from the Bricusse/Newley team was The Good Old Bad Old Days (1972), which played 309 performances in the West End but never crossed the pond. It seemed to mark the beginning of a fallow period, for Bricusse turned out very little until 1978, when he contributed some songs to Superman: The Movie (“Can You Read My Mind?”) and The Revenge of the Pink Panther. A highlight of Leslie Bricusse’s resumed activity was the score, written with Henry Mancini, to Blake Edwards’s 1982 film Victor/Victoria, for which he won a second Oscar®. He earned subsequent nominations for the songs “Life in a Looking Glass” (That’s Life, 1986), “Somewhere in My Memory” (Home Alone, 1990), and “When You’re Alone” (Hook, 1991). Victor/Victoria was adapted for Broadway in the fall of 1995 and ran for 734 performances, with a succession of leading ladies that included Julie Andrews, Liza Minnelli, and Raquel Welch. 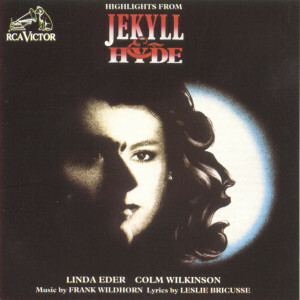 Hot on its heels in 1997 was Jekyll and Hyde, written with Frank Wildhorn, which far outpaced it, running from April 1997 to January 2001 and earning a Tony® nomination for Best Book of a Musical. In 1989 Bricusse received the Kennedy Award from the British Academy of Songwriters, and in the same year was inducted into the American Songwriters’ Hall of Fame, being the fourth Britisher ever to be so honored, after Noel Coward, John Lennon, and Paul McCartney. In 2001 he was made an Officer of the Order of the British Empire for his contributions to the film industry and the theatre. Among the miscellaneous scores and screenplays Bricusse has had a hand in are Peter Pan; Harvey; Henry’s Wives; One Shining Moment; Sherlock Holmes; Santa Claus – The Movie; Home Alone I & II; Hook; and Tom & Jerry – The Movie. Besides Anthony Newley, Frank Sinatra, Nat King Cole, Judy Garland, Aretha Franklin, Barbra Streisand, Tony Bennett, Tom Jones, Petula Clark, Andy Williams, Rex Harrison, Kate Smith, Elaine Paige, Michael Feinstein, Bette Midler, Nancy Sinatra, Lena Horne, Sergio Mendes, Nina Simone, Dionne Warwick, Robert Goulet, Matt Monro, Harry Secombe, Ray Charles, Ethel Merman, Placido Domingo, Jennifer Holliday, Danny Kaye, Robbie Williams, Mariah Carey, Linda Eder, Diana Krall, Maureen McGovern, Celine Dion, Barbara Hendricks, Michael Bublé, The Moody Blues, Maroon 5, and The Black-Eyed Peas have all recorded material by Bricusse. The record holder is Sammy Davis, Jr., who recorded sixty of his songs. Bricusse and his wife, former actress Yvonne Romain, have homes in the south of France, Los Angeles, and in London.